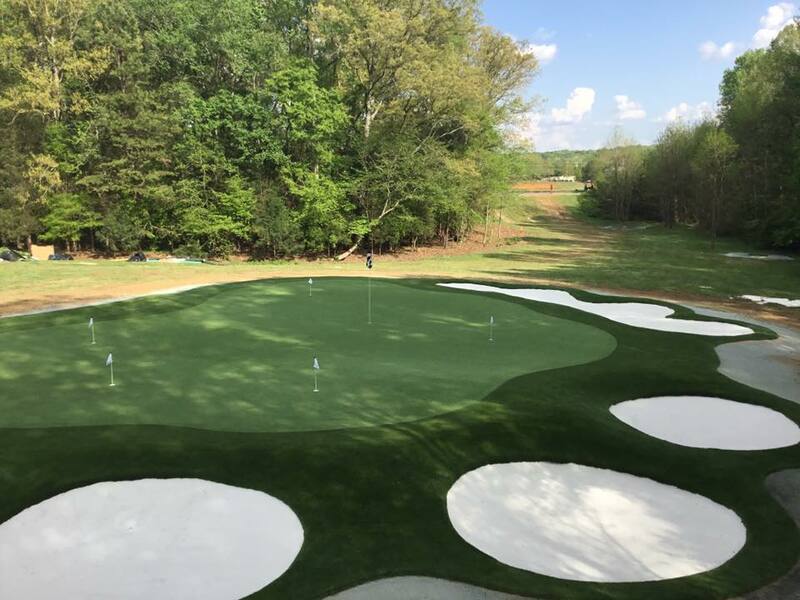 We install synthetic golf greens and lawns throughout the greater Charlotte area, including Fort Mill, Ballantyne, Baxter Village, Concord, Indian Trail, Huntersville, Lake Norman, Mount Holly, Marvin, Waxhaw and Rock Hill. Welcome to Celebrity Greens Charlotte. We are the Authorized Partner of Celebrity Greens for Charlotte, NC and surrounding areas. We specialize in designing and installing custom putting greens and artificial grass landscaping. Our Synthetic Grass Lawns and Golf Greens are environmental-friendly, they require no mowing or watering, are long-lasting and look beautiful year round. 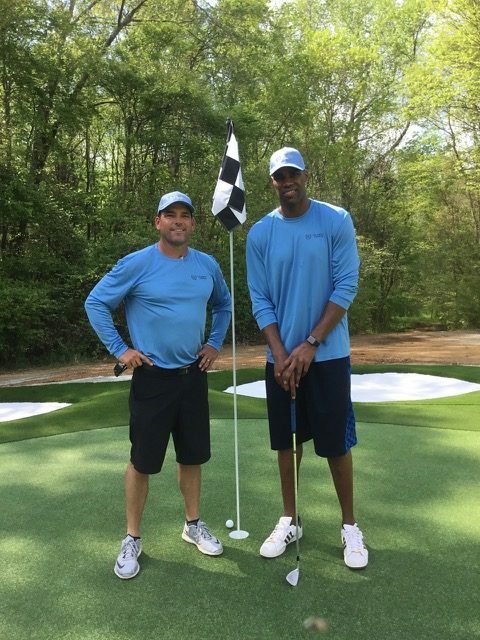 Celebrity Greens has installed thousands of golf greens and artificial grass landscaping projects in both homes and businesses, and we have the training and experience that you are looking for. Designing and installing professional environmentally friendly, Artificial Turf Golf Greens and Lawns available! 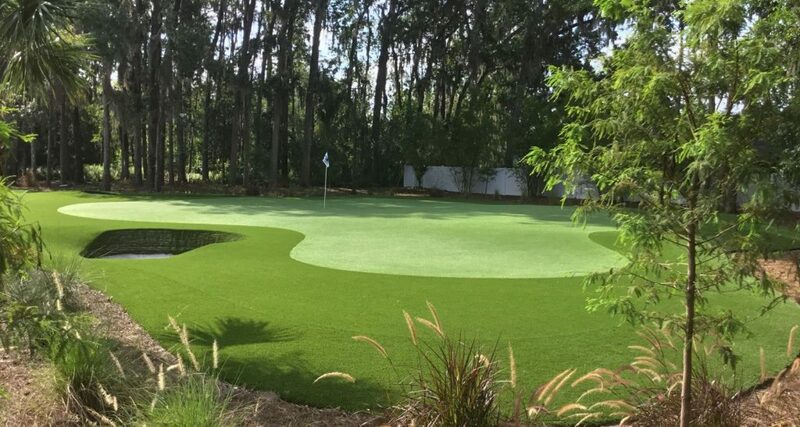 If you’re looking for custom, artificial grass Golf Putting Greens, Playgrounds and Play Areas, Sports Fields, or Pet Turf you’ve come to the right place. 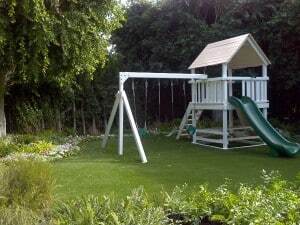 Our turf is top quality, will withstand extremes in weather and hold up to heavy usage by kids, dogs, or general traffic. Even better, our installations require very little maintenance r upkeep. Our products come with a limited 8-year warranty, but the actual life expectancy is much longer, depending on use. Our US-manufactured turf is the most realistic and durable turf you’ll find anywhere.